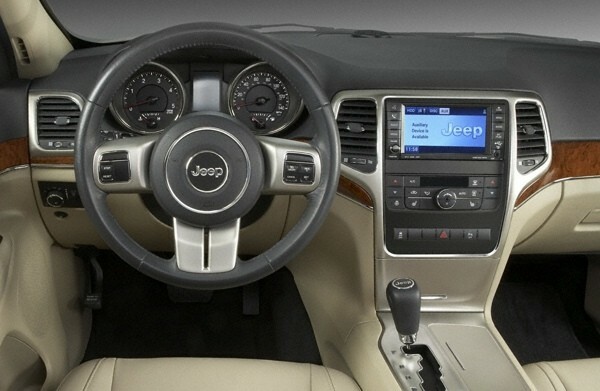 It's not quite as elaborate as that 12-inch dual-view touchscreen found in the new 2010 Range Rover, but it looks like Chrysler's 2011 Jeep Grand Cherokee will come with own its share of in-dash amenities, including a GPS navigation system courtesy of Garmin. That'll be integrated into the same 6.5-inch touchscreen used for Chrysler's Uconnect radio and, of course, will offer everything you'd expect from a standalone GPS unit and then some, including lane assist, speed limit and current speed information, spoken street names, details on nearby points of interest, and even some spiffy customized Chrysler-specific icons. Of course, the vehicle itself also packs a number of other improvements that Chrysler hopes will woo some new customers, but we'll let our friends at Autoblog run those down for you. Garmin provides in-dash navigation system for 2011 Grand Cherokee originally appeared on Engadget on Wed, 08 Apr 2009 14:22:00 EST. Please see our terms for use of feeds. April 8, 2009 by Ben Pike.